Captured in a single image in the quarry near my home, was the representation of birth, life and death. In this case the flower happens to be a weed, and a very successful one at that in these parts. A further image is provided subsequently. These particular specimens were in the process of strangling a thicket of brambles bearing their own fruit. In that regard, much better to tackle the bindweed than the nettle or thistle when out blackberrying. 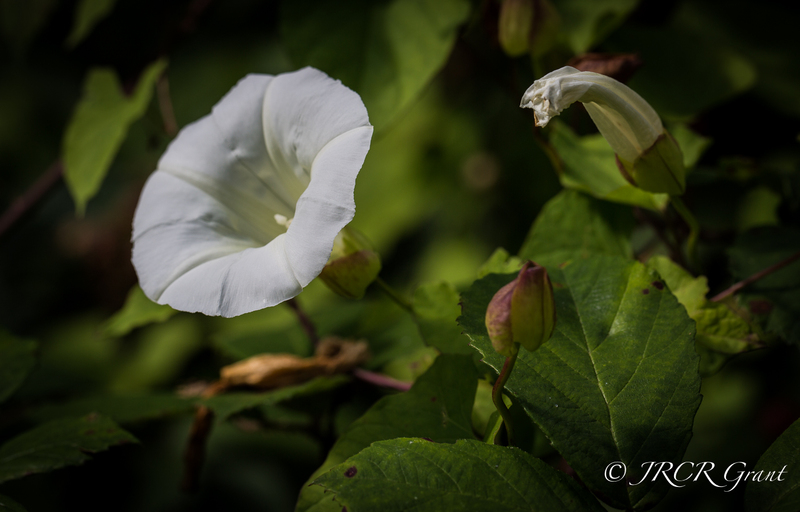 Bindweed is indeed a pretty devil! 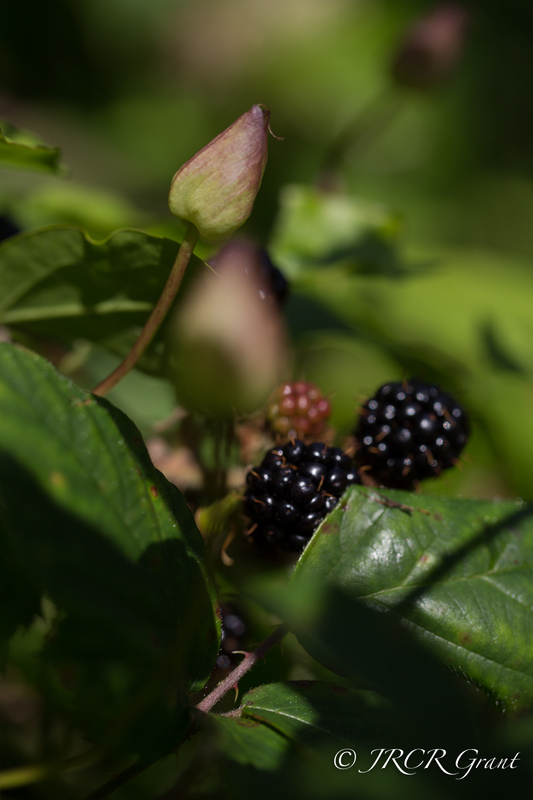 But I confess I mostly kept going back to look at the enticing berries!!! Brilliantly linked. Well done. But what a weed? It’s a nightmare. Great eye! To capture all three phases in one shot…. nice job! Almost had me tumbling into the briars mind…..
Great post and great concept!! Cheers Norma, almost tumbled into the messy growth trying to get the right angle……. Great concept John. Well spotted.